William Elliott A Life with Blindness: What does Your Guide Dog do When He's Not Working? 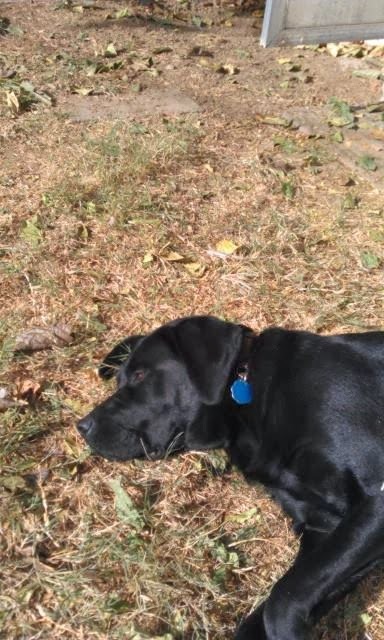 What does Your Guide Dog do When He's Not Working? rests in the late December morning sun. 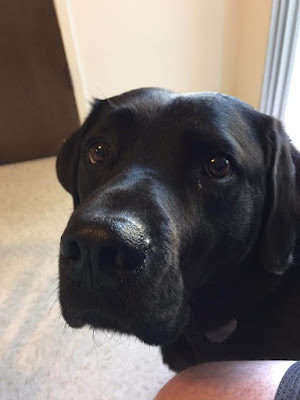 I have been asked several times over the last few weeks if Leif is always at work, working as my guide dog would not really fill many hours of Leif's day. My answer is. No, he gets to be a dog too. Often he plays, tug rope is a bit favorite as is chewing his Nylabone Chew bone. But a big bonus for Leif is living in a house with a yard, in Central California the yard means that he can go out and play or walk in private. Then living in Central California means even warm sunny days in the middle of December. A what does this top rank Guide Dog love more than food and tugging ropes. Yes you have probably guessed it, the warm sun on his black shining coat as he snoozes the day away.